Frying pans are a staple of any well-stocked kitchen. 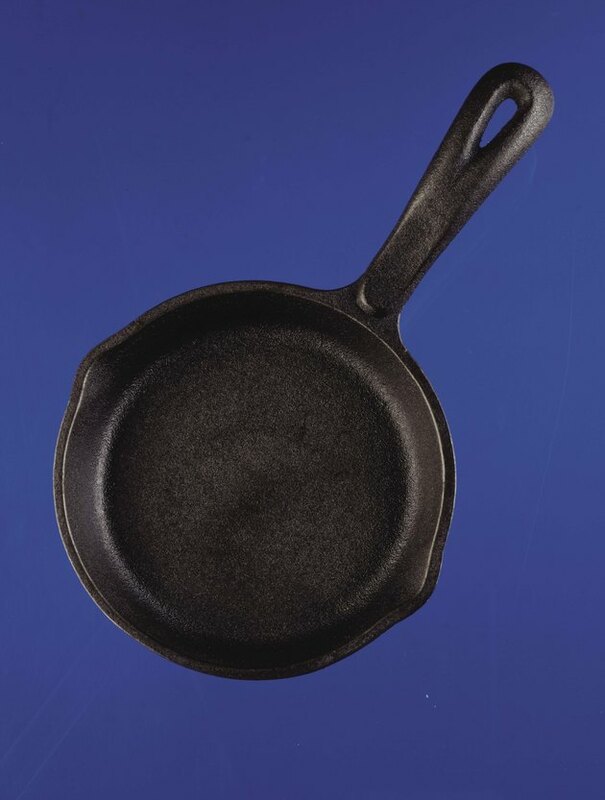 They come in a variety of sizes and types, including cast iron and those with nonstick coatings. The pans benefit from conditioning, a process that prepares the interior of the pans for cooking. It increases the nonstick properties and extends the life of the cookware. Nonstick and cast-iron frying pans require different methods for conditioning, as they consist of different materials. The process should be done upon purchasing the pans and again if foods begin to stick. Condition cast-iron frying pans in the oven. Wash the frying pan with hot water and dish detergent. Rinse the pan with clear water and dry it with a kitchen towel. Place enough vegetable oil in the pan to cover its bottom. The exact amount necessary depends on the size of the frying pan. Put the pan on a stove burner and turn the heat to medium. Leave it there until the oil begins to bubble. Remove the pan from the heat. Use a paper towel to wipe the oil away after the pan cools. Wash it again in hot soapy water. Set the oven temperature to 350 degrees Fahrenheit. Moisten a paper towel with vegetable oil. Rub the inside of the frying pan with the oil until it is thoroughly coated. Position a baking sheet on the bottom rack of the oven. Place the cast-iron frying pan into the oven upside down, directly above the baking sheet so that the dripping oil doesn't make a mess inside the oven. Allow the pan to bake for 60 minutes. Turn the oven off, but leave the pan in the oven until it is cool enough to touch. Wash the oil away with hot water. Place the pan over high heat on the stove top until the water dries.